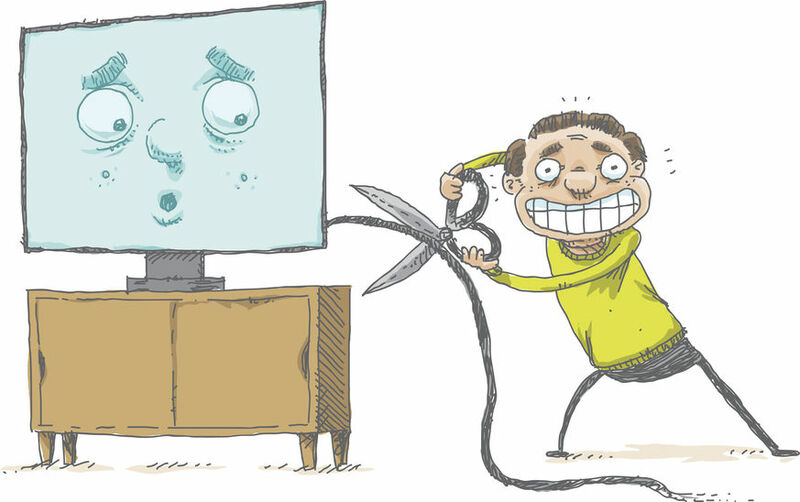 "Cutting the Cord" can sound like exciting yet scary thing to do. You can save so much money, but how do you manage to keep watching all of your favorite shows? Which DVR system best suits your needs? Let Geek On a Scooter help you get set up to Cut the Cord and stop feeding the cable/satalite. This is how we can Cut The Cord. Digital TV signals from local TV stations are transmitted through the air. These signals can be picked up using an HD Antenna. These channels are free to watch and include many of the major network channels such as PBS, NBC, CW, ABC, FOX & CBS. Though this can mean a few things, the team is mostly used in reference to severing ties to the cable companies. Instead, Cord Cutters recieve their video entertainment through OTA television and/or online streaming. Many people believe that cable/satalite companies have the monopoly on recording TV. This is simple not the case. There are many DVR hardware systems that you can purchase that will allow you to record OTA television as well as live internet broadcasts. Once recorded, there are varius ways to stream your recordings to multiple Smart TVs, mobile phones and computers. You can even play back the recordings on up to 4 devices at the same time using Roku®. Make the leap by following these two easy steps! Call our office to schedule a tech to help you and your family get the most out of your internet and save money! Stream DVR to up to 4 Smart TVs?